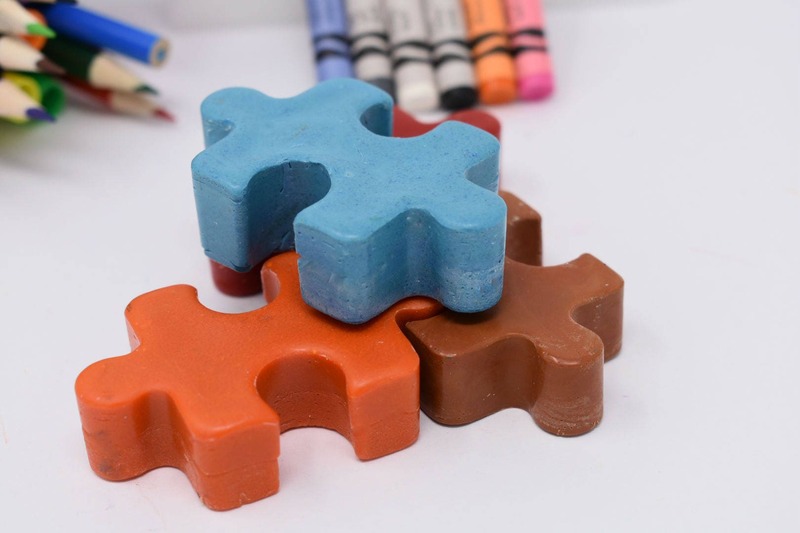 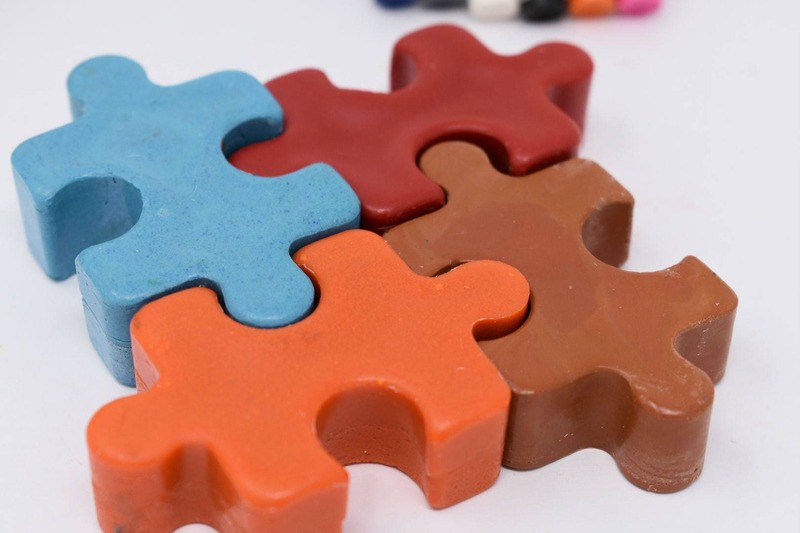 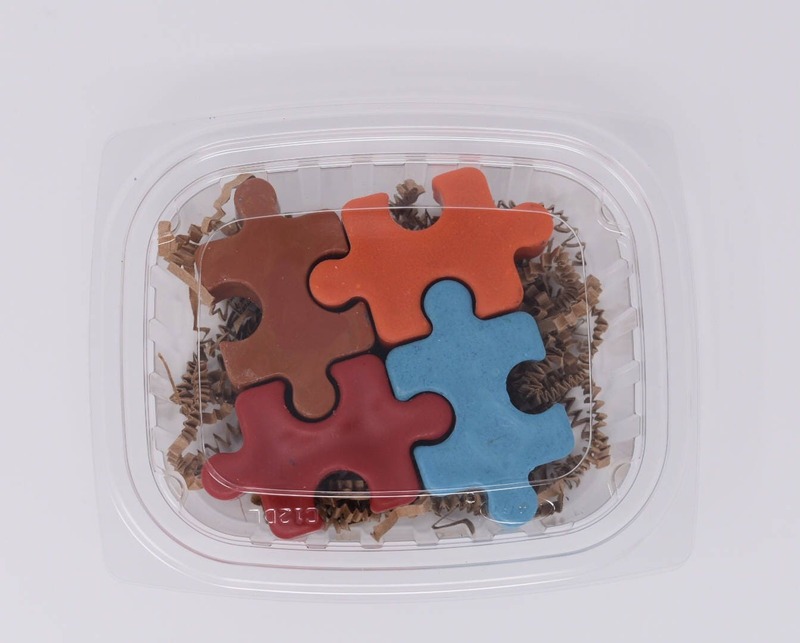 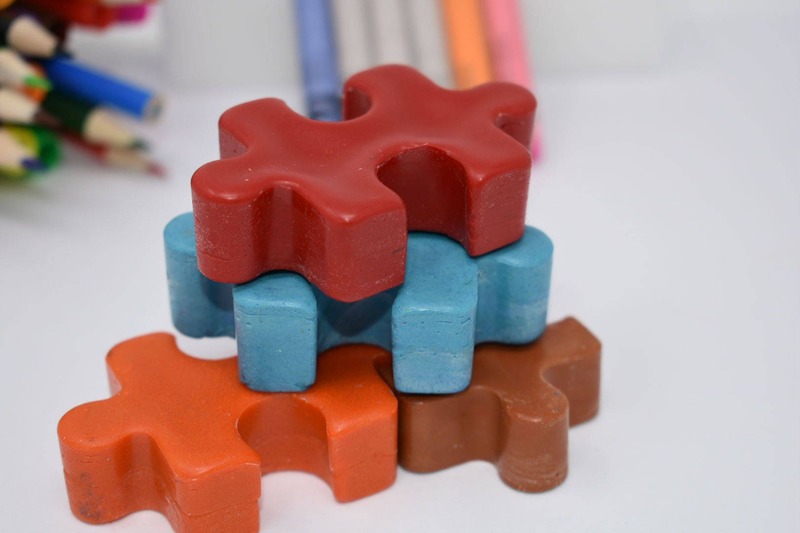 These crayons are repurposed broken crayons that have been sorted by color and re-formed into the shape of a puzzle piece. 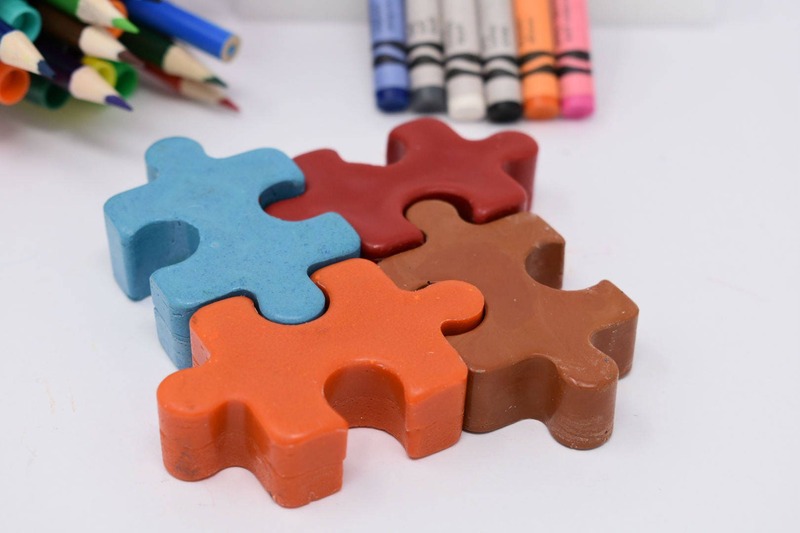 The set comes with 4 crayons in varying colors. 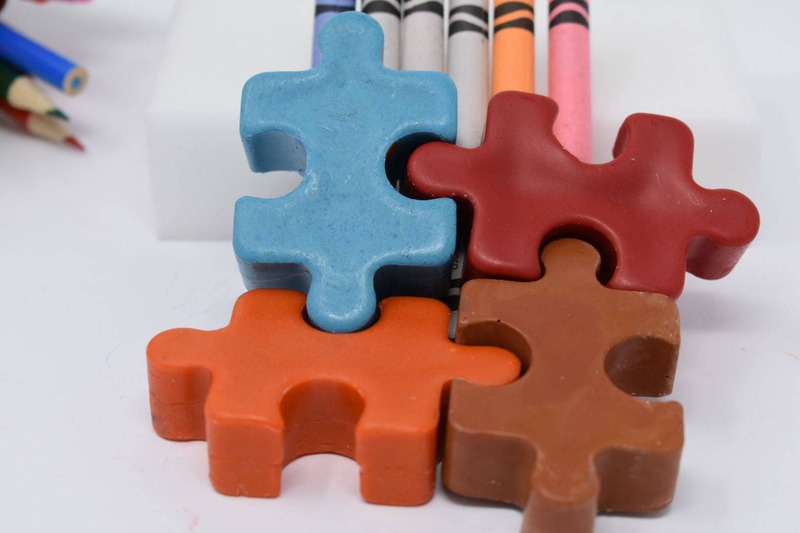 Each Puzzle Crayon is 1.5" x 2.375" x .675" in size.